Looking to make an instant impression? 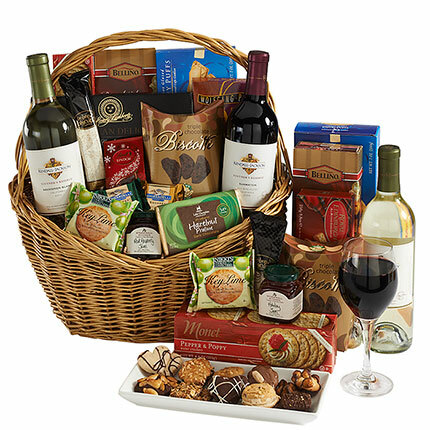 Our premium selection of wine, chocolate, cheese and crackers is sure to please. 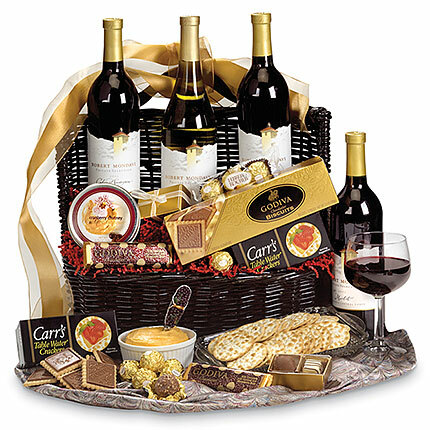 Includes three bottles of Robert Mondavi's® finest Central Coast wine (Merlot, Chardonnay and Cabernet Sauvignon), an assortment of Godiva chocolate and biscuits, gourmet Merlot Cheddar Cheese Spread, Carr's gourmet water crackers, plus hazelnut chocolate candies. Makes a great gift for special clients or business associates.